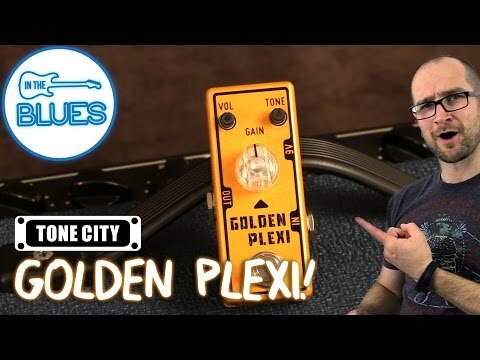 This is the Golden Plexi by Tone City. 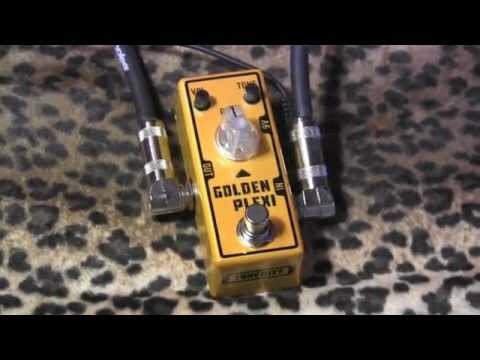 If you're looking for a Marshall style tone in an affordable and toneful box check out the Golden Plexi. Transform your Fender (or any clean channel) into a British sounding beast with all the best types of overdrive you could ask for. If you're a fan of the Carl Martin Plexi Tone you're going to love this pedal. There are three pots that control the Gain,Volume,Tone. Gain – Controls the overdrive tone. Volume – Controls how loud you want to be. Tone – Controls the treble presence of the pedal.